Glen Fitzpatrick was a founding manager of the Sensors and Actuators Lab at the University of Alberta. Privatized in 1998, that lab evolved into Micralyne Inc. Glen focuses on innovation at Micralyne and bringing best practices to the solutions offered to Micralyne’s customers. His role is to advance Micralyne’s state-of-the-art and emerging trends in MEMS technology at the device, process, and equipment levels. He is also a principal internal consultant on device design and performance, and fabrication process development and troubleshooting. 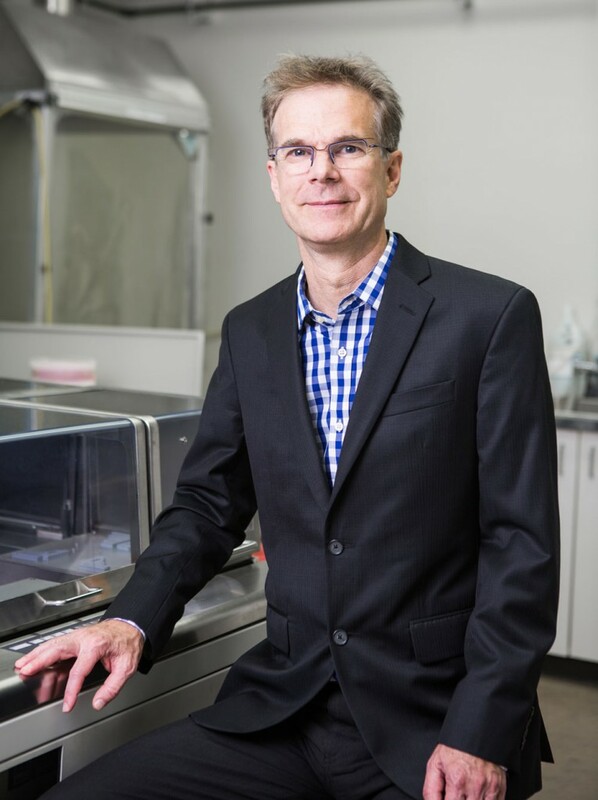 Glen’s contributions include several breakthroughs, including developed processes for glass micromachining for microfluidics, and has contributed to a textbook on the topic. He also has a design and patent award for a high speed( 10 MHz), electrically configurable linear array diffraction grating, as well as all-silicon ultrasonic transducer (CMUT) devices. His prior work includes a glass/silicon-based architecture for micro-mirror devices. He designed mechanical and electronic industrial control systems prior to being drawn to the MEMS world. and has contributed to a text book on Microfluidics.